For on-the-go individuals, Bluetooth headphones are the most comfortable and convenient phone accessories. With these headphones, you can make and receive calls without having to hold or touch your Android device. You can even listen to music while commuting or going for a morning jog. As long as your Android device is Bluetooth-enabled, you can pair Bluetooth headphones with it. In case you don’t know how to connect Bluetooth headphones with an Android phone yet, don’t worry. We’ve got you covered. We’ll start with how to switch on your device’s Bluetooth. Access the Notification shade of your device by swiping down from the top or swiping up from the bottom of the screen. Scroll sideways or downwards to see the Bluetooth icon. Switch on your device’s Bluetooth feature by tapping it. If you want to switch off Bluetooth, perform steps 1 to 3, again. On your Android device, open the Notification shade, which you can access by sliding up or down of your screen. Press and hold the Bluetooth icon to open the Bluetooth settings. Select Pair New Devices. At this point, some Android devices will start scanning for visible devices nearby, but others will require you to tap the Scan button. Select the name of the Bluetooth headphone you want to pair with your device. Sometimes, a PIN code will be asked for pairing. You can verify this in the user guide that came with your Bluetooth headphone. Your Android device and headphone will attempt to pair and connect. When it is successful, both will stay connected, and you will see a headphone icon appear on top of your Android device’s screen. Go to Settings -> Connected Devices. Tap Connections or scroll down to find NFC. Switch on NFC by toggling the switch. Now, if you cannot find the NFC settings anywhere on your device, chances are, your device does not support NFC. So, you need to switch it on manually. Make sure your Android device is near your Bluetooth headphone. Next, tap the NFC icon on your Bluetooth headphone. A message will pop on your Android device’s screen asking if you agree to pair your device with the headphone. Tap Yes. That’s it. 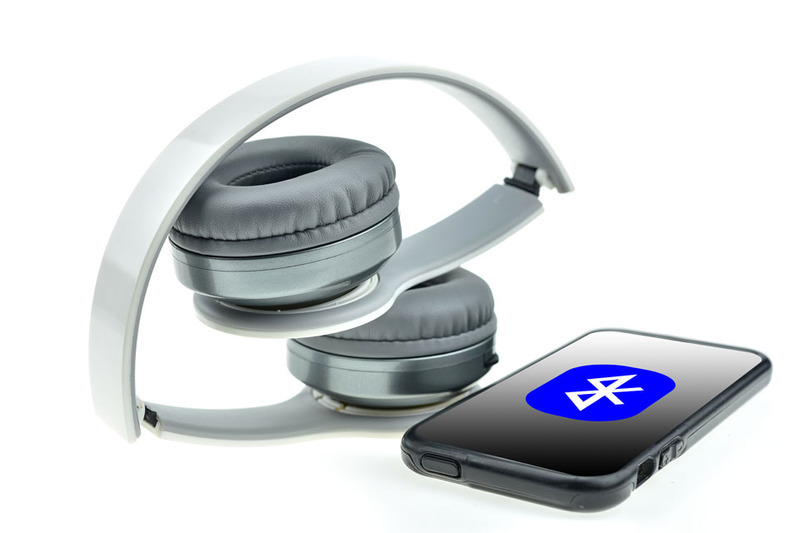 You have paired your Bluetooth headphone with your Android device via NFC. Here is an important reminder. NFC only works within a short range. Thus, if you position your phone near the NFC icon on the headphone and it still does not work, you might need to slide your phone a bit closer to it. The NFC sensor is often located near the middle of the headphone and somewhere near the top of the back of an Android device. Open the Notification shade on your Android device. Select and hold the Bluetooth icon to open Bluetooth settings. Find the name of the Bluetooth headphone in the list and tap the settings gear next to it. A message will pop asking you to confirm unpairing. Press Yes. Your Android device should already forget the pairing. If you need to listen to your favorite song again, you will need to pair, back, your Android device. As you enjoy good music using your newly paired Bluetooth headphone, your Android device might experience lag issues. It is especially true if you’ve got a lot of files on your device. Don’t let these files ruin your listening experience. Download and install Outbyte Android Care now. This app will close the background programs and apps that are slowing down your device, ensuring it performs best at all times.